Projects are delivered by people, not processes, systems, or applications. In the end, a Project Manager cannot be successful without a well-organized and skilled set of team members. At the same time, it certainly doesn’t hurt to have a good set of tools (software programs) when leading the project! In “The Project Leader’s Toolbox, Vol. 2: A New Perspective on Software Programs for Project Management,” the facilitator will highlight the advantages, disadvantages, and featured characteristics of some project management software applications available today. The session will, of course, address some of the most well-known programs (e.g., MS Project ); however, it will also address some of the lesser known options. Though not a comprehensive review of all available programs, this webinar will provide the participant with some additional “food for thought” related to project management software applications. 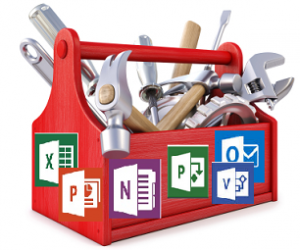 Participants will learn how to better manage their projects utilizing the MS Office suite, MS Project, and MS Visio.